The arrival of weekend is a break from our hectic school/college/work schedules. On weekends we like to indulge into fancy yet home-made delicious delicacies, which do not take a lot of effort in assembling. 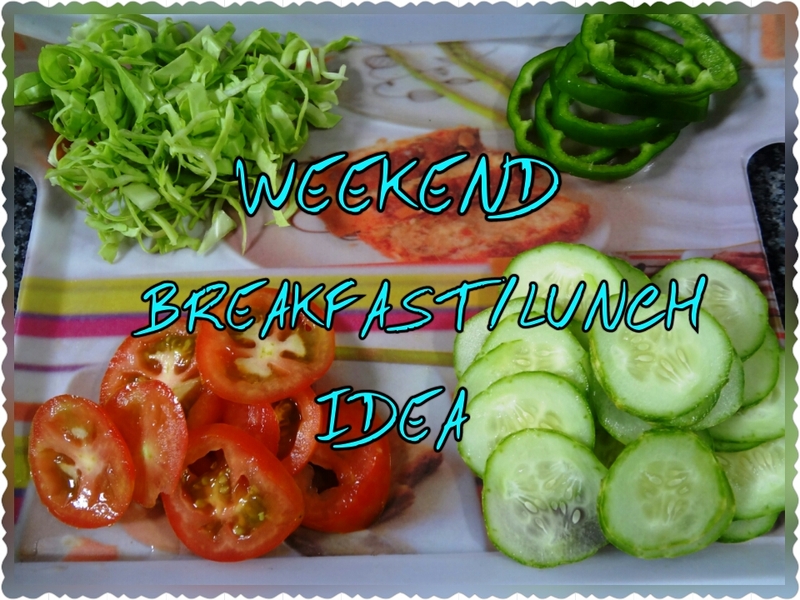 Today, I shall be sharing my Sunday special recipe which is apt for breakfast or lunch. 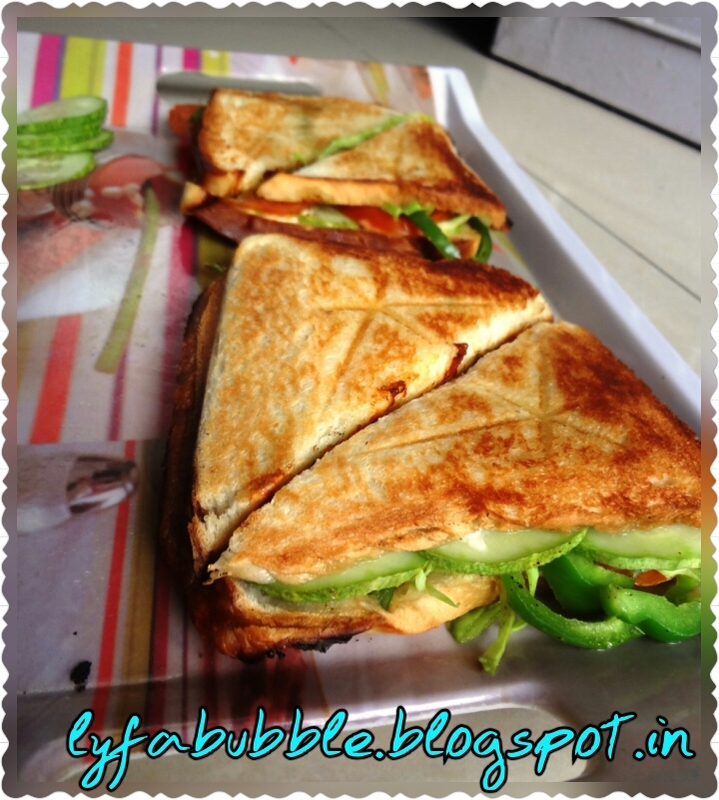 You can also pack this sandwich for your college or work lunch meals. From my childhood itself, I stay clear away from salads. 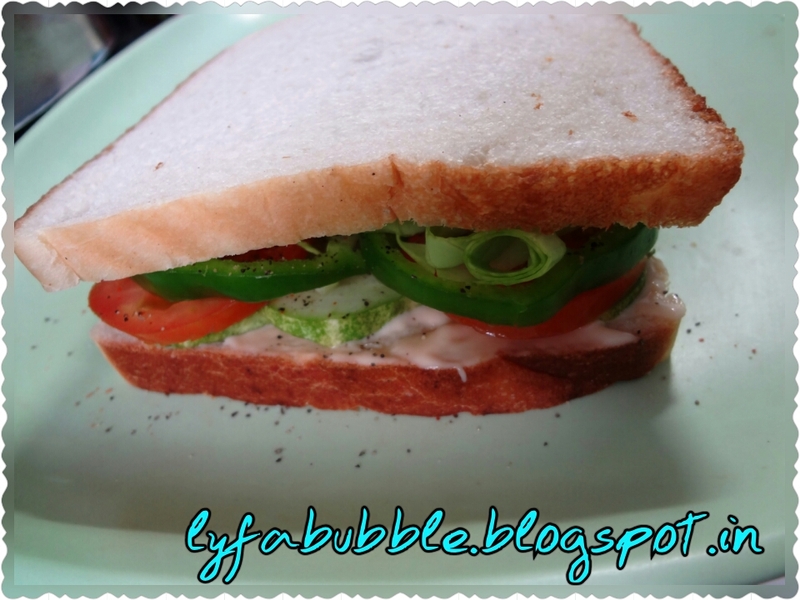 When, I ate from “SUBWAY” for the very first time, I quite liked it. This sandwich is what I came up with for tricking myself into eating salads. This is especially for vegetarians. · Step one: Wash all the vegetables mentioned above and start cutting them into thin slices. For cabbage, take its leaf and roll them up and start chopping them into thin slices. You will get long strings of cabbage. 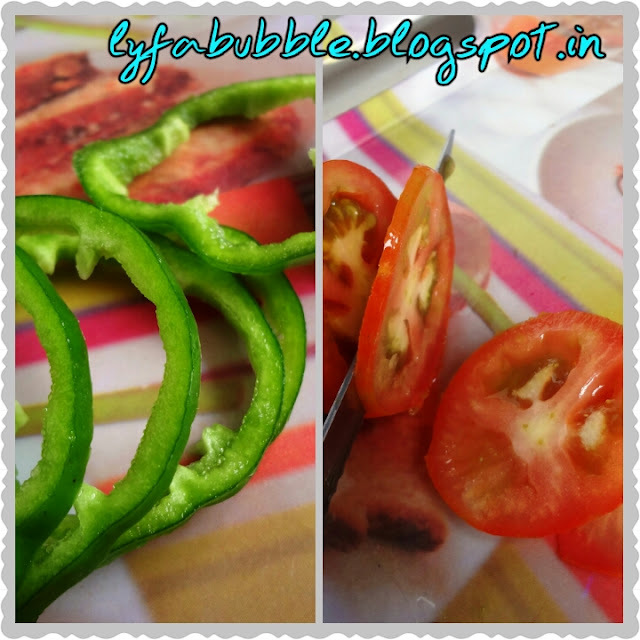 Do not take a plumpy juicy tomato because then you will have troubles in cutting it into thin slices. 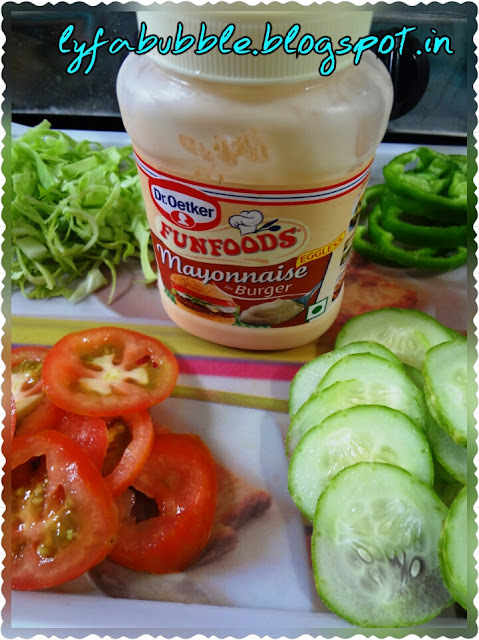 · Step two: After you’ve sliced up all vegetables, take a slice of bread (as per your preference) and apply mayonnaise or cheese slice. 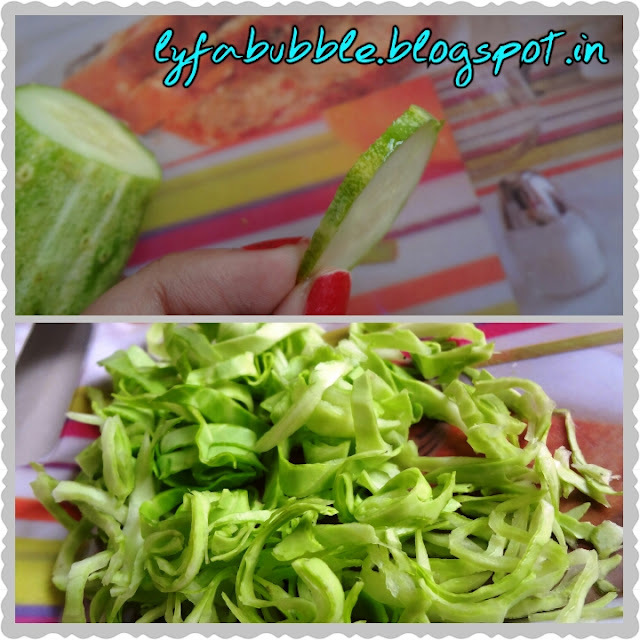 Top it off with first, a layer of cucumbers, then tomato, capsicum and in the end cabbage. 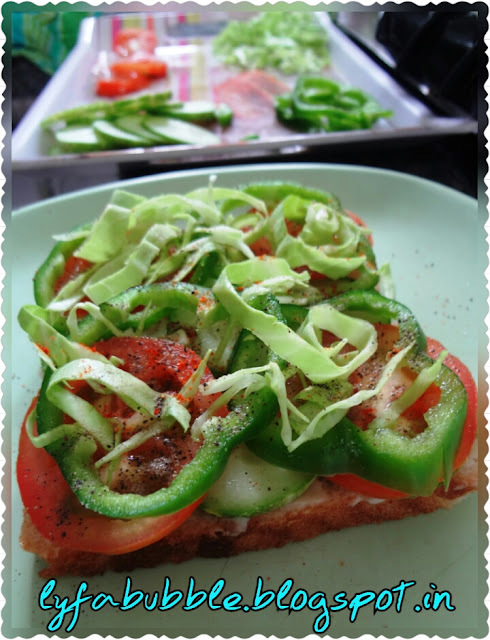 I placed these veggies into such an order so as to get the crunchiest vegetables as my outer layer. · Step three: Sprinkle black pepper, salt and chili powder as per your taste. 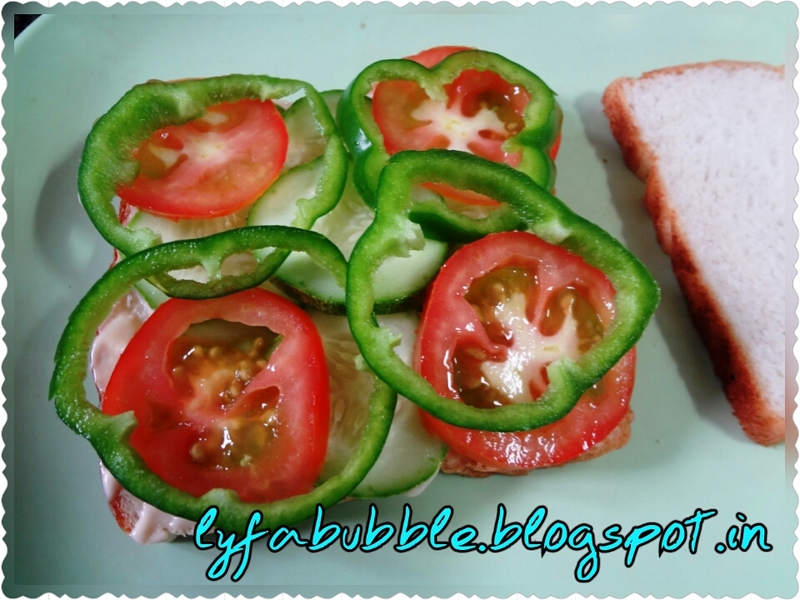 · Step four: Close your sandwich by placing another slice of bread. 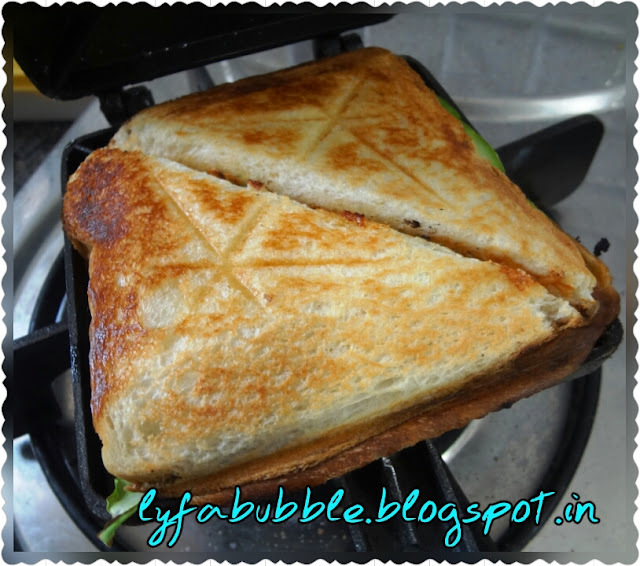 Now heat up your sandwich maker and apply slight amount of butter or ghee on its surface. Place you sandwich in and wait for your bread to get a crisp soft brown layer. 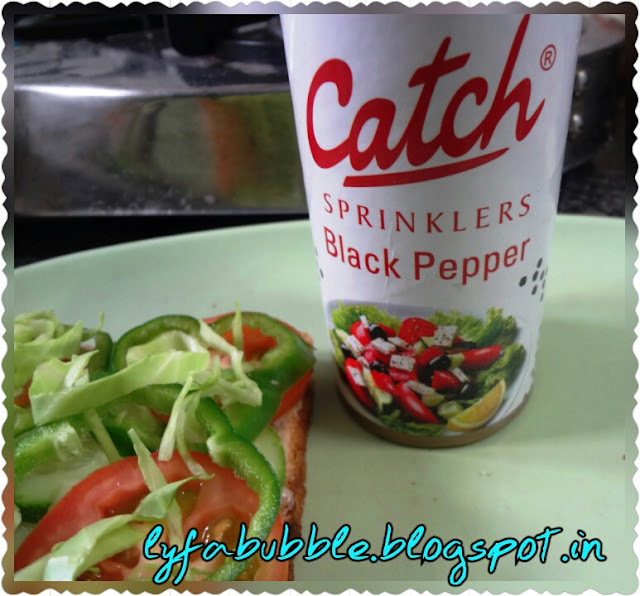 Caution- Do not serve it as soon as it is out from sandwich maker. If you try it out or feel inspired enough to make this recipe, then comment down below.